Panel templates are an important aspect of programming. It’s is a complex process which requires two parties to be working in tandem – the interviewees or audience, and the interviewers or speakers. 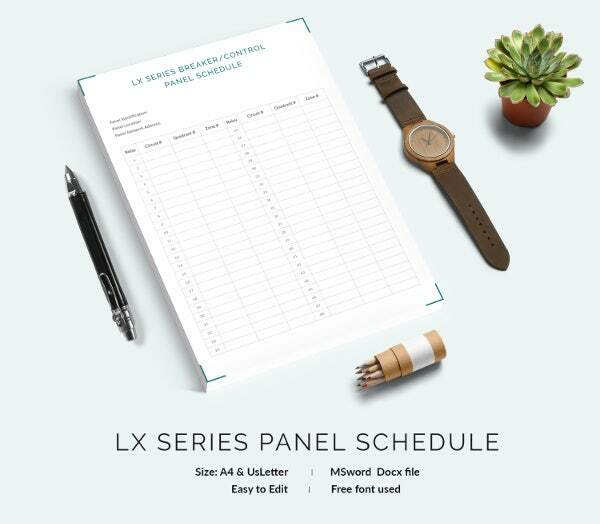 Keeping track of the timings, names and appointments, the entire exercise can be confusing, however if you have ready-made panel schedule samples at your disposal, then not so much. We took the liberty and fetched you some very good templates which you could use instantly. You can also see Work Schedule Templates. Find a balance of power and responsibility With great power comes great responsibility, they say, and in your case this is probably really relevant. Don’t worry, because we’re here to help in your responsibilities with these amazing free (or, in some cases, paid and premium) schedule templates. 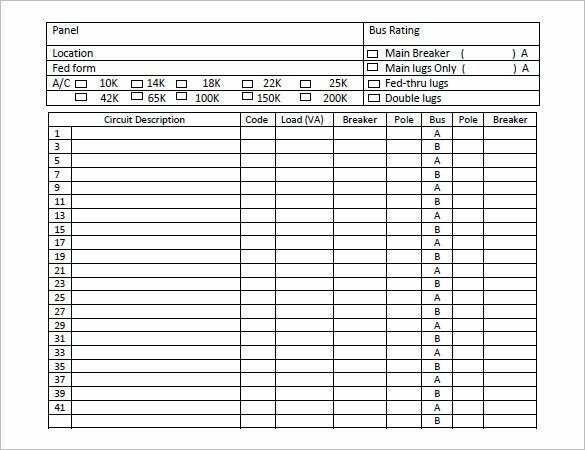 This is a electrical panel schedule form, it is in PDF format. The document is well-spaced out and contains fields such as panel name, location, etc. 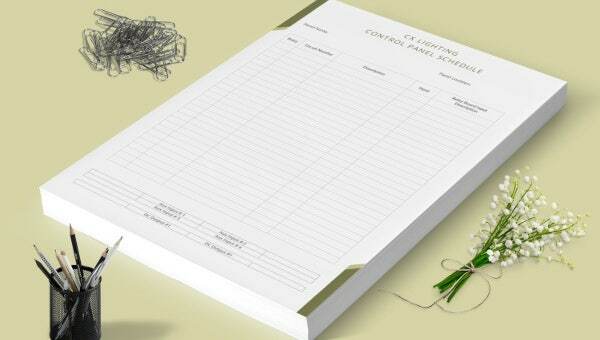 The template is easily available on the Internet, it is downloadable and fully customizable. Use it right away! The panel schedule is in the PDF format. It has the general information fields like the panel id, location, etc. There are other important fields in the panel schedule layout template. The PDF can be downloaded from the web as and when required. The template is in PDF format. The user can enter the panel name, location, and Fed form in it. There are several check boxes, each depicting an alternating current rating. Apart from these, there is space for circuit description, etc. 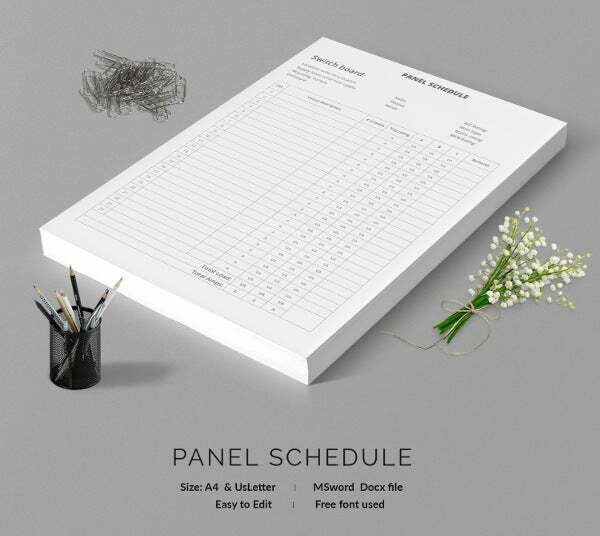 The free square D panel schedule template is in PDF format. It has the panel name, location, etc. The template is available online. It can be downloaded, printed as and when required. Such templates are also available in Word 2010 template format. 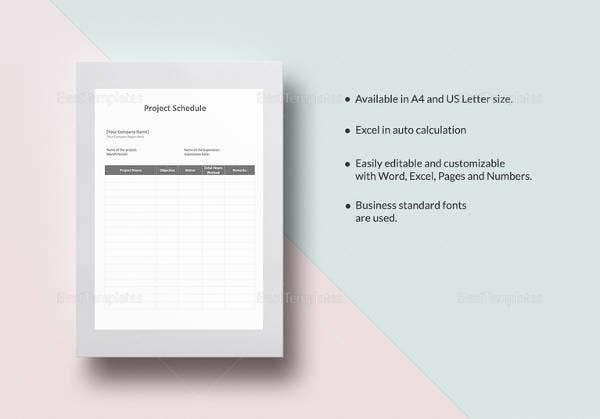 The electrical panel schedule template is a panel schedule example, in the PDF format. The template is available online from where it can be downloaded for use. Some of the important fields in the template are project name, DCE project number, date, feeder, panel, Fed Form, Conduit, etc. 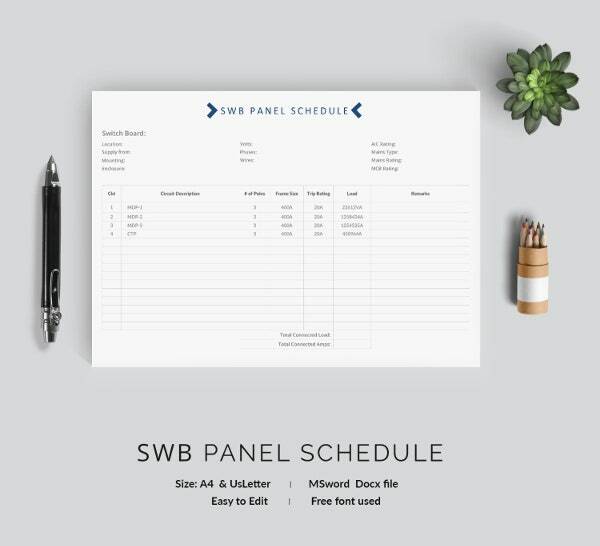 There is available panel schedule template, Word online for use. 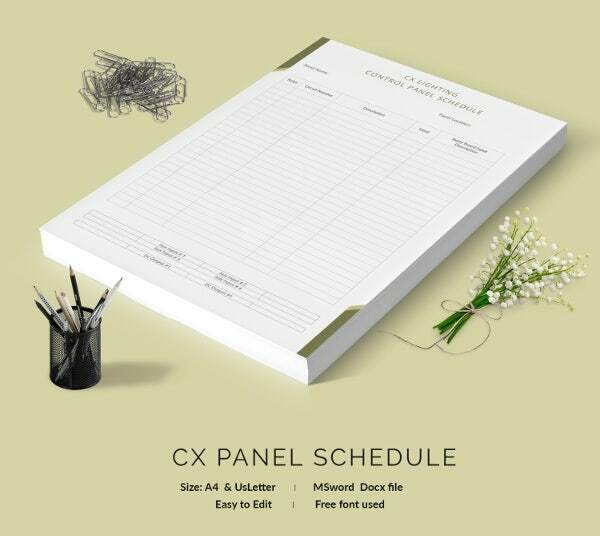 The custom panel schedule is a PDF document. It is available on the web and is downloadable. It contains important information about how to create custom panel schedules using the AutoCAD MEP 2009 software. The template is in the PDF format, it has a number of fields. The document is available online and it can be downloaded for use. The sample panel schedules have the common fields like the panel number, location, current rating, circuit description, etc. Apart from the PDF format, there is the free Excel panel schedule template that the user can download from the web when required. 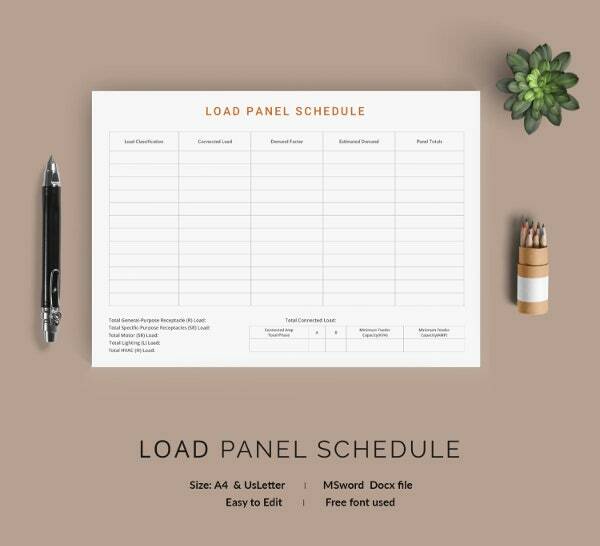 When you search the internet, you are likely to find panel schedule templates for electricians, panel schedule templates with revit and panel schedule template for squared, which is why this should be a rewarding final destination from the more commonly available electric panel schedule template software. You can see also Schedule template. 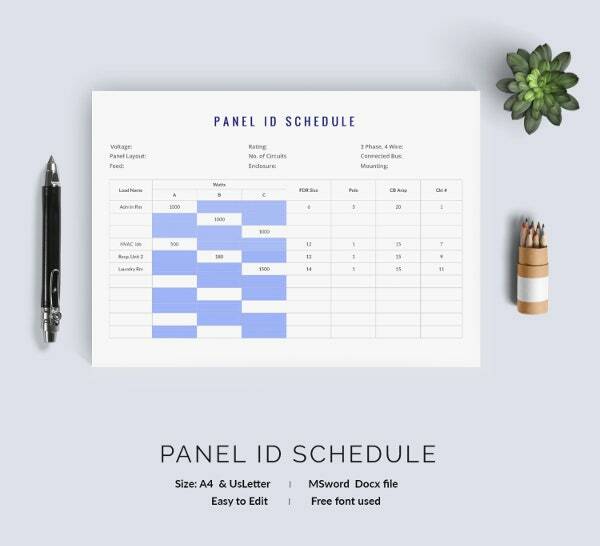 The panel schedule formats are perfect for those looking for something specific. Or, if you prefer the power to customize, just download and print! 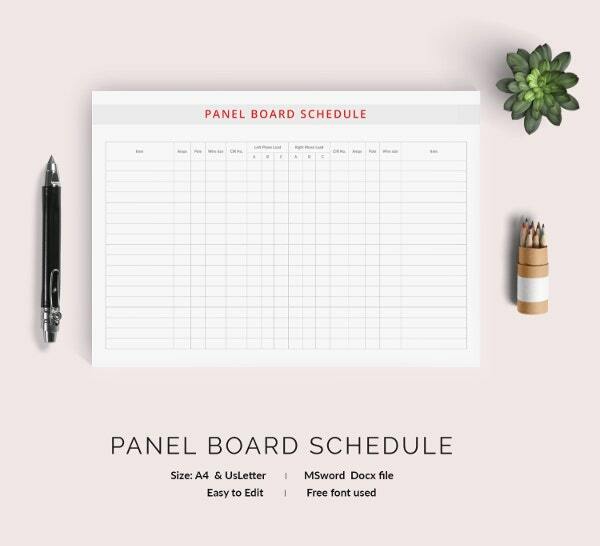 After all, this panel schedule template freeware is exactly what you need. Apart from these there are residential electrical panel schedule templates as well as the panel Board schedule template that is very popular among the professionals in the electrical industry. If you have any DMCA issues on this post, please contact us!